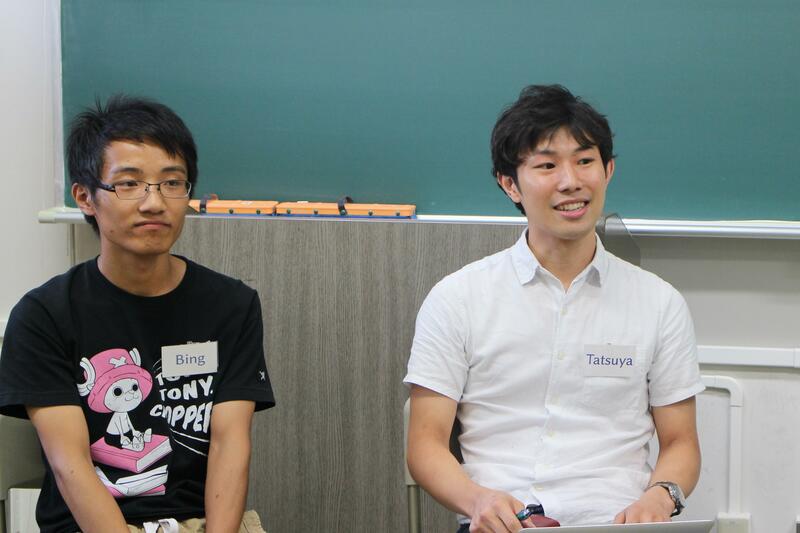 On August 30, two Leading Program students who plan to graduate next March (Japanese student Tatsuya Ishikawa and international student Bing Liu) recently held a career counseling event. The two hosts, who will be the program's first graduates, spoke to younger students about their job-hunting experiences. 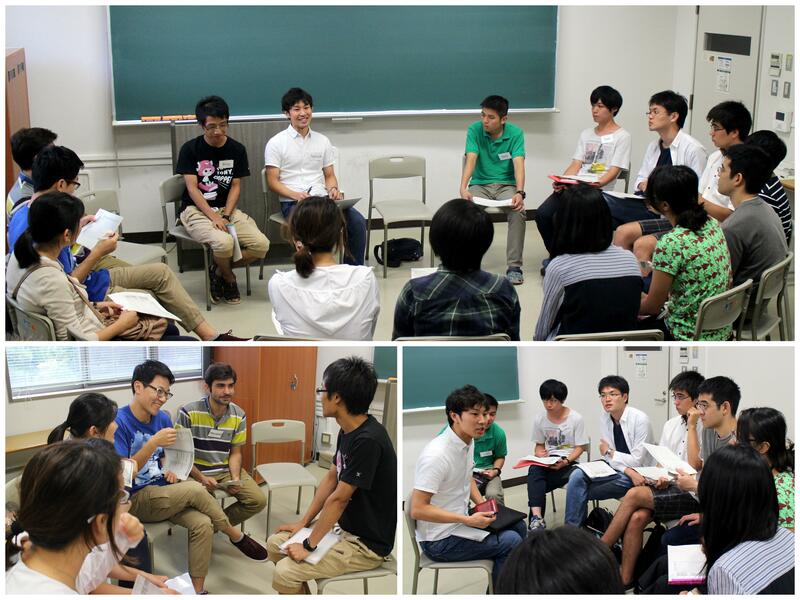 During the event, the pair drew on their perspectives as a Japanese and as an international student to tell the younger students about their experiences, ranging from gathering information before they started their job searches to the application and interview process, and what happens after a position is offered and accepted. During the second half of the event, attendees split into groups of Japanese and international students, and the pair carefully answered a variety of questions from their younger classmates. The event proved to be useful for the program's Japanese students as well as their international counterparts, who have concerns about looking for employment in Japan. The hosts offered concrete information, including about how their studies and experiences in the Leading Program broadened their appeal while searching for jobs, how having a doctoral degree affects the job-hunting process, and how international students can take advantage of their unique outlook to respond to questions during interviews.